Find your flow on our ½ day of spectacular mountain biking and ½ day of Scree Rush. Ride a bike and then board the Scree!!! Scree is like snowboarding on a bike! The ultimate day on the mountain! We meet in the morning before driving up to the mountains surrounding La Paz. At the foot of Huayna Potosi is some of the world’s best Scree hills, where riders from pro to beginner can get a chance at the closest thing to skiing or boarding on two wheels as we swing our way down these massive slopes of loose rock. Start out with an easier line and make your way up to some of the more certifiably certifiable slopes. 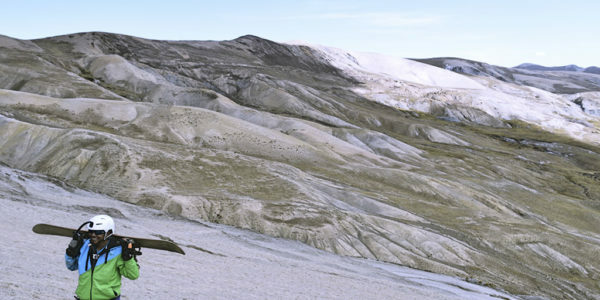 With vehicle support we can hit the Scree slopes several times before lunch so you can really dial in your skills on these very unique slopes surrounded by some of the most beautiful scenery the Andes offer. After a few hours we meet the vehicle again and have a well-earned picnic lunch before we switch over to our boards. 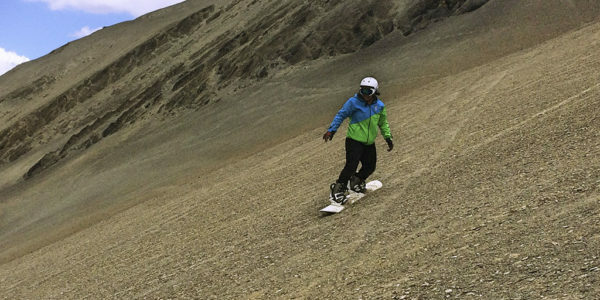 Now we are gonna rip the slopes on boards, this unique experience is like snowboarding just on Scree. It’s lots of fun and is definitely something you’ve never done before! Try the features we have built and session the mountain all afternoon until either your body or the sunlight gives out. Back at the vehicle we enjoy a cold beer and take in the Andean scenery as we make our way back to La Paz thinking that today was one for the record books!